Doug Munton writes an excellent blog on what we should pray for in the next president of the International Mission Board of the Southern Baptist Convention. I love taking photos of houses of worship. Over the next few days, I will post some of my favorites, and share what I like about them. I’ll begin with Richburg Baptist Church, Hattiesburg, Mississippi. 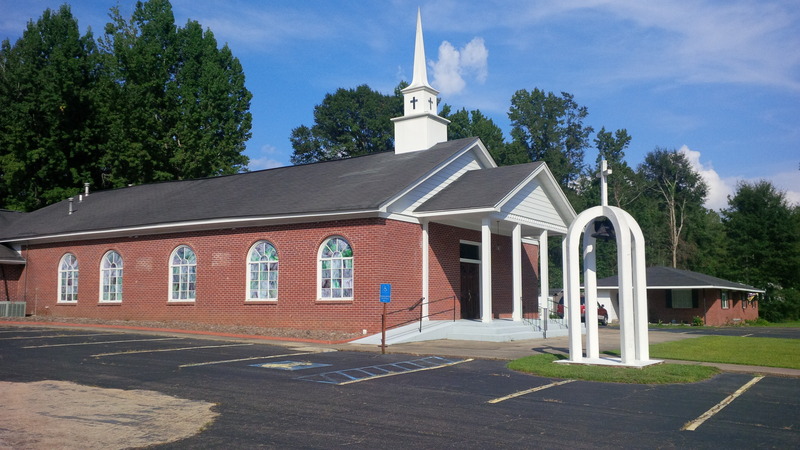 This is a classic red brick worship center, especially popular among Baptists. Like many in this style, it has red bricks, with a white column porch in front. Yet this congregation added some other nice touches to that basic design. Notice the stained glass, the cross cut-out in the steeple, and the arched bell tower in front of the worship center, with a cross on top. Simple, yet beautiful. 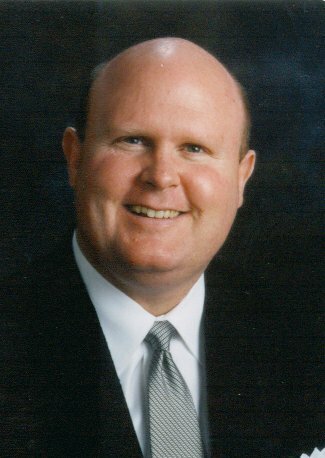 The Georgia Baptist Convention has been greatly blessed by God. We have some of the most dedicated pastors and leaders in the history of our convention, excellent educational opportunities and resources, and the technological ability to deliver our message to the masses. In addition, we live in a state with over 7 million lost people desperately in need of the Gospel. Considering these factors, you would think we would be making great strides in reaching our state for Christ. Sadly, the opposite is true. Baptisms are down. Giving is down. Church attendance is down. Despite all of our efforts, we continue to lose ground in the battle for the souls of men, women, boys and girls across our state. If this downward trend is to be reversed, the problem causing it must first be determined. I have come to believe that the greatest problem facing our convention is of a spiritual nature. We are in desperate need of revival. As the president of the Georgia Baptist Convention, my vision is to see spiritual renewal experienced in the churches throughout our state. This can only happen when we humble ourselves and seek the face of God. The time has come for all Georgia Baptists to cry out to the Father in confession and repentance of sins. When we are right with God and each other, God will be able to use us to impact our state with the Gospel. If revival is going to be experienced throughout Georgia, prayer is where it will begin. Since there is no such thing as a prayerless revival, I want to call upon all Georgia Baptist pastors and leaders to begin to pray fervently for revival in our state. When messengers leave “Revive 2014” in November, I want them to be able to say they have experienced God’s power and presence in their lives. My ultimate desire is for Georgia Baptists to come away with a renewed cleansing from God, a unified fellowship among God’s people and a restored passion to worship God and reach our state with the Gospel message. Before Jesus ascended into heaven, He instructed His disciples to wait in Jerusalem until the Holy Spirit descended to empower the Church. After ministering alongside Jesus for three years, the disciples were not ready to do ministry because they lacked the power of the Holy Spirit. Once the Holy Spirit descended on the Church at Pentecost, Peter preached the Gospel and 3,000 souls were saved. The Church, ministering in the power of God, turned the world upside-down for Christ. We, as believers, have the Holy Spirit living within us. However, sin grieves the Holy Spirit and limits His power in our lives. God wants to demonstrate His power in and through us. For this to happen, we must humble ourselves and pray for a fresh encounter with God. Only then will we be able to minister in the power of God and impact our state for Christ. Will you join me in consistently praying for a spiritual renewal throughout Georgia in 2014? We must not delay. God wants to do a new work in us and in our convention. Let us join Him in His work. Southern Baptists gathered in Houston, Texas, this month for our annual convention meeting. Controversy or unsettled issues often marked previous conventions, so the annual meetings usually morphed into an annual show down, with messengers already having made up their minds regarding a particular issue weeks before their arrival. 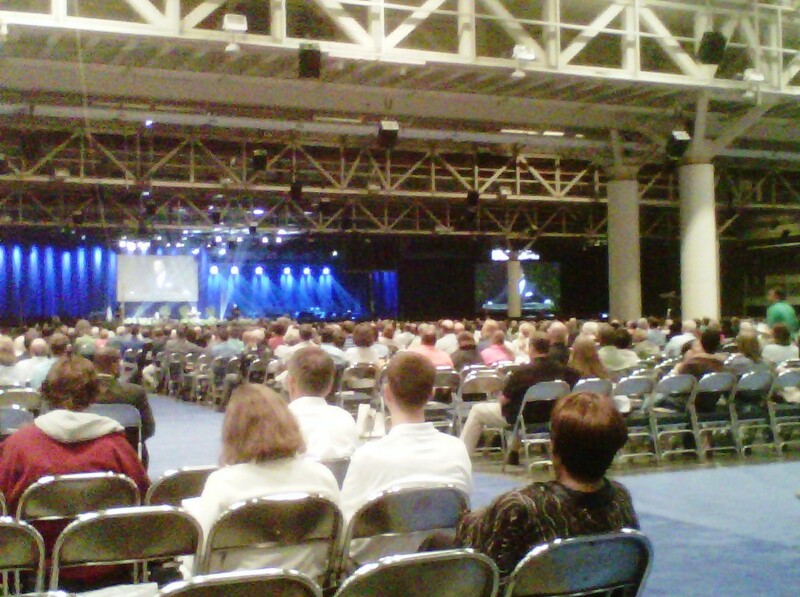 This year’s Southern Baptist Convention, however, seemed to mark a course correction. With a shockingly low attendance barely breaking the 5,000 mark, not many Southern Baptists made the trek to the Lone Star state for this annual meeting, but those who attended participated in a well-planned and effective event. 1. Baptists are beginning to favor cooperation over conflict. With several potentially divisive issues before us, Baptists chose to respond with wisdom, grace, and a plea for unity. The theme of “Revive Us: That We May Be One” set the stage for a spirit of cooperation that sadly has been absent in many of the previous conventions. The report regarding Calvinism and the resolution about Boys Scouts of America were characterized more by their thoughtfulness than their abrasiveness, and messengers seem to be resisting the urge to fight, choosing instead to make strong statements tempered by love and the spirit of Christ. 2. Previous “hot issues” seemed noticeably absent. With the commotion caused in recent conventions about the Great Commission Resurgence (Orlando, 2010) and the descriptor name of “Great Commission Baptists” (New Orleans, 2012), it was remarkable how these hot topics seemed to be long forgotten. Even though these issues were passionately debated and subsequently approved, Southern Baptists seemed to have put them in the past, relegating them to the historical archives of the Convention for anyone who wants to search for them. But did the adoption of these quasi-controversial matters substantively change the make up and DNA of Southern Baptists? Given the deafening silence about these issues only a few years after their acceptance, they apparently were forgotten as quickly as they were adopted. 3. The call for global missions has been re-ignited among Baptists. It was difficult to miss the mandate to get the Gospel to the nations, and rightly so. Over the past 30 years or so, Southern Baptists privately swelled with pride when talking about our global mission strategies and our thousands of fully funded missionaries around the globe. But the growing statistics of lostness among the nations and the fatness among Southern Baptist churches have been a wake up call. Danny Akin’s closing sermon was particularly insightful, as he reminded messengers that they could be parachuted into places on the globe and walk for weeks on end without ever meeting a single believer or seeing a single church. They would find, instead, countless people groups representing millions of souls that have never once heard the name of Jesus. In an over-saturated America with churches on every proverbial street corner, maybe it is time we managed with less at home so that we can poke deeper and wider holes in the darkness in parts of the world that don’t even have access to the Gospel. 4. Fred Luter’s genuine spirit set the right temperature for Baptists. Noticeably uncomfortable in certain settings requiring parliamentary finesse, president Fred Luter displayed an affable and infectious spirit that endeared him even more to Baptists, if that is even possible. He capably handled all of the business required of any SBC president, but his love for churches and pastors was apparent and set a gracious tone for the entire meeting. His gregarious manner was perhaps best displayed after he struck the gavel for the close of the annual meeting and then looked into the crowd and shouted, “Love y’all!” With men like Fred Luter leading the Southern Baptist Convention, the days ahead will be good ones indeed. The Tuesday meeting of the Georgia Baptist Convention was inspiring most of the time, and intense part of the time, as we had a great challenge with the Task Force Report on our future, and a confusing and close vote for president. The convention approved a resolution in support of Shorter University’s statement of behavior requirements for employees that included a ban on homosexuality. Shorter has been the target of protests by gay rights activisits. We heard that Brewton Parker College has been rescued thanks to the efforts of the new president. It was a miracle that the school stayed open. Truett-McConnell college “cannot find enough hooks to hang the students on” as it has exploded with growth. A resolution against the social use of alcohol was adopted. Then a messenger proposed another resolution against gluttony, saying “everybody hear could pass a breathalizer test, but I’m not sure they would do well if they had to weigh in.” The motion was referred to the Executive Committee for study. The budget was revised, cut another 6.2%, largely by eliminating any pay raises for convention staff. Messenger Michael Stovall questioned how we are going to get rid of the debt on the GBC ministry building so this budget isn’t burdened by debt, hurting missions. Dr. Robert White, executive director, replied that the recession has hurt our investments that were paying on the debt, but we are trying to pay it as best we can. There was inspiring music from a young high school student named Andrea Townes, and another high school student named Will Bates who won the state speaker’s tournament, gave his speech on evangelism. The Fiddle Heads, a group of students from the Baptist Collegiate Ministry of North Georgia College, sang and did a super job on their fiddles with hymns and contemporary songs. If we continue to produce young Christians like these, our future is bright! Tuesday afternoon we had a challenging report from the Task Force that was formed to study how Georgia Baptists can be most effective in sharing the gospel with the 7 million lost people in our state. They used the analogy of David who picked up five smooth stones to fight Goliath (because Goliath had four brothers). They listed five “smooth stones” that we need to make priorities: spiritual renewal, kingdom generosity, church revitalization, church planting, and authentic evangelism. Testimonies were given in each area, and then after a unanimous vote to adopt these priorities, messengers were encouraged to go to containers that contained smooth stones labeled with each of the priorities, and take one that they would resolve to focus on in their own church. Today I attended the opening session of the Georgia Baptist Convention at North Metro Baptist Church in Lawrenceville, in Gwinnett County, north of Atlanta. We heard several reports from various ministries, and a stirring sermon on missions from Dannie Williams of FBC Lyons. There was a mass choir and orchestra from the Gwinnett Metro Baptist Association that lifted the rafters with their songs. Then the president of the convention, Dan Spencer, pastor of FBC Thomasville, brought a stirring message, asking us if we are willing to pay whatever price it takes to share the gospel everywhere. He told the story of a dog that wore a shock collar and could not pass an invisible electric fence without getting a shock. There was a cat that knew exactly how far the dog could go, and the cat licked his paws just outside of the fence to taunt the dog. Finally, the dog decided he was going to get that cat anyway, and he took a running leap, and jumped past the electric fence. After he shook himself off from the shock, the dog took off chasing the cat. Dan Spencer said that just as the dog had to decide that the pain was worth it, we must decide that it is worth it to share the gospel, no matter what obstacles we face. He talked about the apostle Paul’s willingness to go to Philippi, and how Acts 16 records that he was not disappointed by the small group that met by the river, but shared the gospel and Lydia accepted Christ. Then when Paul was arrested and thrown into the Philippian jail, instead of feeling sorry for himself, he sang and prayed, and God sent an earthquake that opened the prison, and led to the salvation of the jailer. Was it worth it? Paul would have said yes. I saw lots of good friends from all around Georgia, like our former member Ted Kandler who is now the associational missionary for three associations around Fitzgerald, and Bobby Braswell, who is associational missionary for Middle Baptist Association in Sylvania, as well as the pastors at Windsor Forest Baptist and Immanuel Baptist in Savannah, to name a few. Tomorrow the convention meets all day, and we will be voting on a lot of business, including election of a new president.